The concept of the world being flat has extended beyond geographical boundaries to the rapid blurring and demolition of economic ones. Globalisation is not an expansionary mindset anymore and in many cases, a strategic imperative to identify growth opportunities. Organisations are increasingly looking beyond their national markets. E-commerce and the emergence of digital and social marketing practices have led to a level playing field for organisations and customers and have redefined competition. Price wars have become increasingly common. Established brands are increasingly under threat from emerging private label brands. Given the massive interconnectedness of the business world and emerging models of competition and growth, how can organisations maintain their core underlying brand identity? In addition to competitive market factors, worldwide external shocks like the global recession have also severely impacted businesses at both local and global level. The key question that emerges is that whether there is now a continual need for brands to adapt or face the threat of extinction if they practice consistency. To find answers to some of these questions, let us look at one of the world’s most iconic brands – Starbucks. Founded in 1971 in the city of Seattle, USA, the brand has changed the way the world drinks coffee outside home and work. Starbucks has been responsible for creating the concept of a third place between home and work where people can relax, enjoy a cup of coffee and experience the inviting ambience. It is often said that Starbucks taught America how to drink coffee and is now continuously teaching the world. The global expansion of Starbucks has been rapid and strategic. It opened its first international store in Tokyo in 1996, entered UK in 1998 and opened its first Latin American store in Mexico City in 2002. The footprint of the brand increased to cover Russia in 2007 and it opened its first store in Ho Chi Minh City, Vietnam in 2013. In February 2014, it entered Brunei, the 15th market in the Asia Pacific Region and the 64th market globally for the company. In 2015, it opened stores in Panama and reached the milestone of achieving 99% of ethically sourced coffee. The company has more than 26,000 stores in 75 countries worldwide and is expected to maintain a strong growth momentum in 2017. On 3 April 2017, Starbucks’s former CEO Howard Schultz passed the leadership baton to Kevin Johnson, who will be the president and CEO moving forward. Kevin served the company in its board of directors since 2009 and has been the COO of Starbucks since 2015. In the latest shareholder meeting in March 2017, it was announced that the company’s plans in 2017 include innovation in coffee, elevated food options and innovation in premium craft iced teas. Since its founding days in the early 1990s, Starbucks has strived to build its brand identity by offering customers a relaxing and enjoyable experience. From the very beginning, the experiential aspect of the brand has been consistently and effectively implemented in all its stores across the world. In addition, Starbucks has also built its brand on things that tend to be out of the box, by consistently defying conventional wisdom. When companies were aggressively advertising, Starbucks decided not to advertise. When cost cutting was the dominant paradigm of the industry, Starbucks chose to emphasize non-routine procedures to create excitement among the baristas instead of streamlining procedures to minimize cost. Unlike most other companies, Starbucks made its employees its partners, by offering them stock options and health insurance. In 2014, it announced that it would pay for its US employees to complete an online bachelor’s degree at Arizona State University. Although the pros and cons of this employee benefit and Starbucks’ motivation behind the offer were widely debated, it again defined the organisation’s intent to go against the norms. Starbucks’ approach towards gathering customer insight is also quite unique and different compared to multi-million dollar marketing research budgets utilised by global organisations. Going against rigorous and complex customer surveys, Starbucks chose casual and informal chats with customers to capture overall mood, understand experience with the store and gather valuable feedback. It is not that Starbucks does not conduct quantitative market research. It has in fact successfully used research findings to shape its market entry strategies in many countries. The key aspect to highlight here is the fact that the organisation does not have a rigid, compartmentalized view of understanding customers. These clever and innovative ways of understanding its customers has enabled Starbucks to build an iconic global brand that has resonated with customers across the world for over 45 years now. By offering a pleasurable and relaxed customer experience, Starbucks has been successful in focusing the customers’ attention on the quality of the experience, the enjoyable memories that can be woven together in its stores and not on the pricing of its products. An interesting piece of research conducted in 2013 using neuroscience research techniques in Germany suggested that customers would be willing to pay more for a Starbucks coffee, if the brand decides to charge it. Because neuroscience research looks at changes in brain activity when exposed to brands and price points, the results were considered more believable than traditional market research. The real world evidence of this power in the mind for the brand is the popularity level it enjoys even though the pricing is higher than many of its competitors. The Starbucks mission statement reads as “To inspire and nurture the human spirit – one person, one cup and one neighborhood at a time”. In his book Onward, former Starbucks President and CEO Howard Schultz says, “Success is not sustainable if it is defined by how big you become. Large numbers that once captivated me – 40,000 stores – are not what matter. The only number that matters is ‘one’. One cup. One customer. One partner. One experience at a time”. The company operates with a strong sense of attention towards details, and replicating a consistent customer experience across all its stores and its products is a critical focus area. 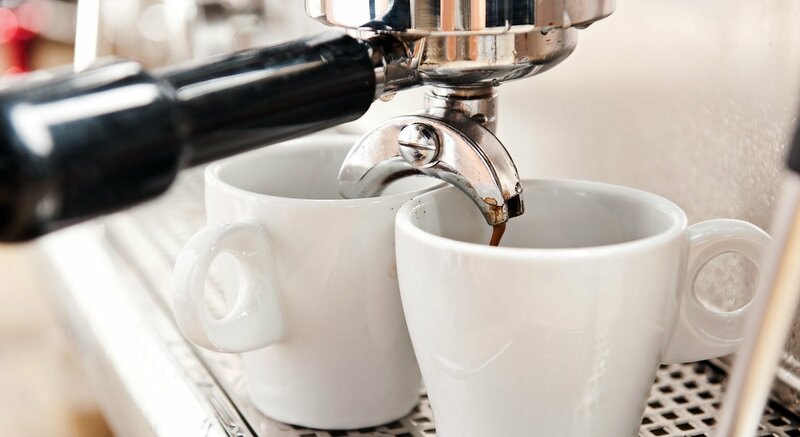 In February 2008, it closed more than 7,000 stores across the United States for “Espresso Excellence Training”, where it worked with around 135,000 baristas to enable them to pour a perfect espresso shot and steamed milk properly. In addition, another pillar of Starbucks’ brand philosophy is to be a responsible and socially ethical company. This includes responsible purchasing practices, including supporting farmer loans and forest conservation programs; as well as creating opportunities through education, training and employment. Starbucks also initiates many programs to reduce its environmental footprint through energy and water conservation, recycling and green construction. These are examples of consistency, attention to detail and a strong customer orientation in practice. Branding has been one of the pivotal elements of Starbucks strategy over many years. The company has invested significantly in creating a standardised look and feel of its stores, merchandise and food and drinks. The Starbucks Siren logo is one of the most recognisable logos in the world. The global expansion strategy has a key objective of recreating the Starbucks experience in every new country the company enters. This essentially results in a similar kind of experience in its stores, whether it is located in New York, New Mexico, Moscow, Tokyo or Shanghai. The brand strategy, as mentioned before, focuses in detail on the experience the store creates. This has always been the cornerstone of the company’s philosophy and values. In the United States, where the company estimates that majority of its stores will become drive through, it has embraced stunningly appealing design principles to create stores out of unused shipping containers. Interiors of stores are continuously spruced up through clever and artistically appealing ways of using definite materials, lighting arrangements etc. In its international stores, the strategy is around localising some of the store elements but still staying true to the Starbucks experience. The first strong indication that Starbucks is planning to move its focus beyond coffee and into other beverages and food products was when the company logo was redesigned in 2011 to remove the words “coffee” and “Starbucks”. This logo is in use till date and is one of the most visual and recognisable elements of the company. The company’s brand strategy has kept pace with time and has evolved to take advantage of new and emerging customer engagement platforms. The company operates a website called mystarbucksidea.com, where customers can leave ideas for the company to expand and improve its products and customer experience, improve engagement with the community and enhance social responsibility. This is akin to the emerging methodology of “crowd-sourcing” in the field of innovation. The brand has a sizable social media and digital presence, which has received renewed focus in recent years. This has been driven by the need to better engage with customers and also be visible on platforms where target or future customers spend time online. The brand has an active Facebook page, a Twitter account, Instagram page, a Google+ community, a Pinterest page and a video channel on YouTube. In 2015, Starbucks collaborated with Duracell Powermat to roll out wireless charging in its UK stores, thereby adding to the customer experience and bringing digital innovation into its stores. The brand invests heavily and believes strongly in mobile marketing. It has embraced digital innovation by developing and rolling out a Starbucks app for paying for products, tipping baristas, earning and redeeming rewards. It currently has 13 million Starbucks Rewards members, approximately 9 million mobile paying customers and more than USD 6 billion loaded onto prepaid Starbucks Cards in North America in 2016 alone. Besides its success in using technologies like QR codes, coupon downloads and virtual gift cards in its promotional campaigns, Starbucks has leveraged on Artificial Intelligence to allow customers to place their orders via voice command or messaging interface through the mobile app. This has resulted in a tangible increase in customer engagement, reflected by a 20% increase in Starbucks Rewards member spend. In 2014, the company launched its first global brand campaign titled “Meet me at Starbucks”. The campaign chronicles a day in the life of Starbucks through a mini-documentary format. The campaign was shot in 59 different stores located in 28 different countries, using 39 local filmmakers, 10 local photographers and one director coordinating all the people involved. Starbucks is not a stranger to brand and marketing campaigns and has spent significant amounts of money in various campaigns. During the low growth phase of the company in 2008, it invested around USD 200 million on campaigns. The first global brand campaign in 2014 is a deviation from its existing brand promotion and communication strategy, where the focus has always been on its products. But the key thing to note is that the campaign still focuses on the customer experience, which is a direct link with the core values and philosophy. Starbucks’ brand promotion strategy is still unique, unconventional and does not follow tried and tested advertising models. Starbucks rarely advertises on billboards, newspapers, and magazines and through posters. The company’s few television ads generally focus on specific product offerings highlighting the Starbucks way of preparing them and for promotional campaigns (e.g. free latte till noon on 14 March). The company has strongly believed in developing and building the brand through word-of-mouth channels and by being visible in a consumer’s life. This brand building principle is clearly reflected in the company’s brand promotion and communication strategies. Starbucks has had its fair share of challenges in its history. In 2008, the company was on the verge of bankruptcy when Howard Schultz came back as a CEO. He is credited to have successfully turned around the company into a global powerhouse of today. When he came back during those difficult phases, cost cutting and gaining efficiency in operations were made the primary focus areas. More than 800 Starbucks stores were closed in the United States alone over 2008 and 2009. The global recession also made it difficult for the company to come out of its low growth phase due to continuous cutback on customer spending. This experience of Starbucks raises some fundamental questions about the future of the brand and the strength of its brand equity. Despite the popular notion supported by hard facts and latest research, which argues that brand equity is the surest way to protect competitive advantage, the global recession and the consequent focus on pricing to win customers did erode Starbucks’ equity at that time. These events beg the obvious question – when fundamental changes happen in the macro environment, should an iconic brand like Starbucks stay true to their strategic vision or continually adapt to regain competitive advantage? Another important question, in light of the vulnerability of brand equity to major external shocks, is whether iconic brands should continue to invest, build and maintain their brands in phases of long-term uncertainty, low growth, deep recession and sustained cutback in customer spending? Answers to these questions will lay the foundation for how Starbucks wishes to address future challenges in its growth path. Increased competition: As Starbucks continues to expand into new markets and consolidates its position, it will increasingly come across different levels of local and regional competition. Some of these has and will come from local chains or independent coffee shops and some from Starbucks’ global competitors. The experiential aspect of the brand has always been the key differentiator for Starbucks. But the same consumer, who Starbucks educated in drinking coffee, has a much more evolved, finer and sophisticated taste for outside coffee drinking. These developed and refined preferences increases the propensity of switching and puts the Starbucks brand loyalty at risk. Local coffee chains with strong heritage or those who position themselves as gourmet and unique can easily replicate the experience through offering superior products. Starbucks customers, who are used to paying a premium for higher quality, will be open to switching wherever the same levels of quality and experience can be recreated. Constant need for innovation: The Starbucks My Product Idea portal is a nice start, but Starbucks needs to have a strong innovation strategy in place to compete effectively in international markets. Innovation seems to have become a buzzword that is as much misused by the popular press as it is by many brands. Although innovation can be conceptualized in myriad ways, in this context it is used to mean a continuous, organization wide process that allows companies to simultaneously make incremental improvements to existing products and/or services, while investing in the development of breakthrough and significant inventions. Given such a nature of innovation, it is a fundamental building block of iconic brands. Leading brands create their corporate strategies with an inherent strategic element encompassing innovation. Brand strategies that are envisioned with innovation as one of the core elements affords the brand a long lasting competitive advantage that would even withstand system level shocks such as recession. Competitors easily copy the innovation concepts in the coffee drinking industry, which include different origin espressos, season specific drinks, new flavors and additives and promotions. For Starbucks, innovation should not be limited to bringing new products to markets, but should be extended to encompass many internal functions such as innovation in channel communication (with customers and other stakeholders), innovation in organizational cultures (work practices and internal brand practices) and innovation in implementing cost-cutting and efficiency-enhancing strategies. Such an inclusive notion of innovation facilitates achieving dual purposes that eventually supports a brand’s competitive advantage. Most of these are not new processes for Starbucks to administer but there is a need for consistent implementation across their global operations. One very good innovation in channel communication is the launch of the social gifting feature ‘Yong Xing Shuo’ (Say it with Starbucks) in Feb 2017 on Weixin, a sister product of WeChat targeting Chinese domestic users. It encourages everyday acts of kindness and appreciation among family and friends, by enabling users to instantly and conveniently gift a Starbucks beverage or digital gift card. First, innovation will allow Starbucks to refine and redefine its core brand philosophy in line with changing customer needs. The core brand promise can easily get lost in the competitive clutter in the marketplace. Such a scenario will become even more plausible when the brand experiences an external shock. In such cases, the brand has to reach out to the customers to reinforce that aspect of the brand that earned the loyalty of the customers in the first place. Second, innovation will allow Starbucks to continually adapt to the changing needs of customers, thereby protecting its competitive advantage. Whenever competitors challenge with either lower priced products or imitation of the overall branding experience, innovation will allow Starbucks to reach out to its customers in novel ways that would reiterate the core brand promise. Need for diversification: Starbucks placed the strongest possible hint of its future diversification strategy by redesigning its logo in 2011. In 2014, it formally announced the launch of a programme titled Starbucks Evenings, which will see thousands of the company’s stores selling alcoholic beverages over the next few years. So, there are sure signs that the brand is taking diversification as a strategy to identify and unlock growth opportunities seriously. In addition to expanding the beverage portfolio to include alcoholic beverages, the next opportunity lies in innovation of the food products served in its stores. Many of Starbucks’ global competitors position themselves as not only coffee outlets but also more like cafes. Innovation in food is specifically important for Starbucks to establish foothold in emerging markets or where the coffee drinking culture is in its nascent stage. In many Asian and Latin American countries, coffee drinking is a mealtime ritual, where the importance of food consumption is high. To consolidate in such markets, having a differentiated food offering in its stores will be critical for Starbucks. Consistency in the brand experience: Starbucks puts a lot of emphasis on recreating similar levels of brand experience in each of its stores across the world. The attention to detail to achieve this is commendable. But, recreating the brand experience needs to tie-in strongly with the specific country’s culture and practices. Starbucks is not a stranger to creating a coffee drinking experience or even educating a consumer segment in how to drink coffee outside home and work. But the concept of cultural differences in terms of how time is spent outside and for what activities need to drive the local marketing strategies for the brand. So, if the core brand values is to create a third place to have a coffee, meet and greet your friends and have a relaxed experience, then these experiences should match with the local culture. One good example is its expansion into China – how did it manage to launch so successfully in a culture of primarily tea drinkers? The key was market research. To make its menu more relevant to Chinese consumers, Starbucks introduced beverages that included local tea-based ingredients. Market research revealed that the Starbucks experience appealed to those aspiring to Western standards or those climbing the social ladder in their own culture. Additionally, the company also found out that the Chinese market was not a homogenous one especially in terms of spending power. Responding to this, Starbucks initiated partnerships with local coffee companies to better understand the intricacies of local tastes and preferences. Premium positioning may lead to a perceived image of the brand to be too upmarket, which can drive away from the core brand values of being the neighborhood’s coffee shop. In emerging markets and also in countries where the coffee drinking culture is not established, it is important to strike a balance on these two key aspects. To be successful in its international growth and expansion strategy, Starbucks needs to have a strong innovation mindset and the ability to locally customise its product offer and positioning of its stores. The brand has taken rapid strides towards implementing an organisational wide innovation strategy by investing in new technology, redesigning store layouts and investing in new concept stores. In addition to improving the customer experience, which has always been the primary focus area of the company, the future innovation focus areas increasingly need to be around the product offering. The company, without doubt, is a successful global marketer with significant experience in entering and establishing themselves in new markets. But as it expands and grows, it needs to reassess constantly and keep its ears close to the ground to understand consumer preferences. Innovation and operational efficiency would be the bedrock for Starbucks to continue to gain success internationally and also in existing markets. Last but not the least, it needs to evolve and elevate the customer experience of drinking coffee in its stores continuously. This is important because customers get educated very quickly in today’s inter-connected world and their levels of expectation around basic and hygiene customer experience is constantly being elevated. So, a brand experience that is superlative today may just become a regular one tomorrow. Starbucks has to stay on top of this curve to be continuously competitive and differentiated in the eyes of the customer.